El Salvador offers a tidy yet wave-rich coast alongside distinctive culture and beautiful vistas. The small Central American country features 320 miles of South Pacific Coastline with some of the most consistent waves in the world. Arrive at the airport in San Salvador by 8am local time on Sunday. We will meet as a group just outside of Customs. Once we have located our group, we will travel about an hour by private coach to El Sunzal. We'll check in to Casa de Mar, unpack and get ready to head out for our first session. After our first day of surfing, we'll relax before dinner. 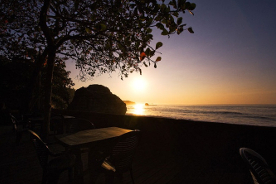 We recommend the hotel restaurant, Café Sunzal, for its fresh seafood and local produce. Meet up for breakfast at the hotel (we'll set our time during the previous night's meal) and head to our selected break. 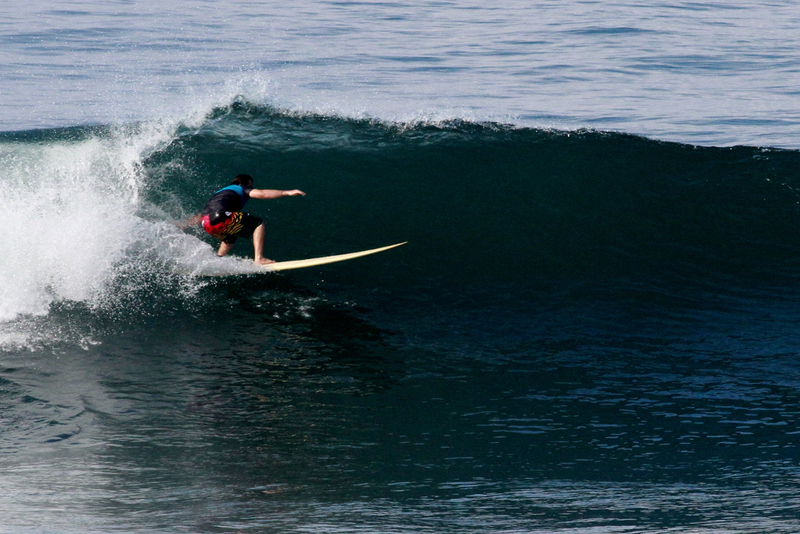 We'll have guides to help us explore the best waves and conditions that El Salvador has to offer. 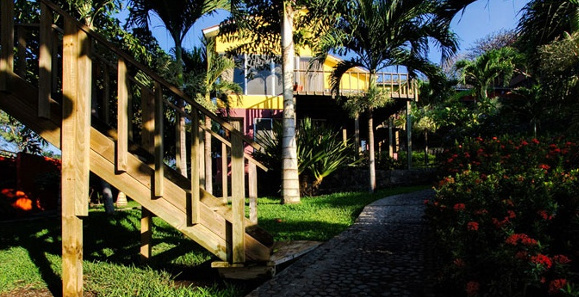 After a day of surfing, you'll be on your own to explore El Tunco. Repeat! 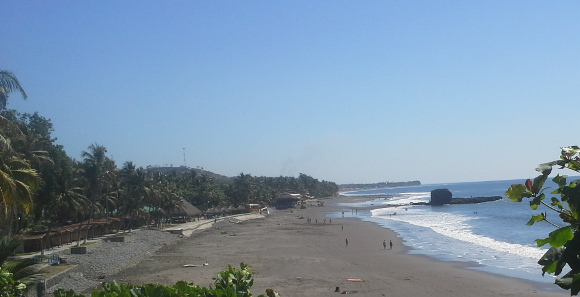 Today could be a day for a drive to Mizata, an uncrowded black sand beach with four breaks. On a weekday, there is a chance that we could be the only people in the water. 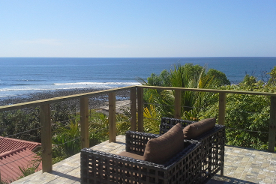 Post surf, we'll schedule massages for the group and enjoy a cold beverage on the balcony overlooking the beach. Choose your adventure today. Feel free to surf Playa El Sunzal or explore another break, or go on an optional day tour of El Salvador's ruins. 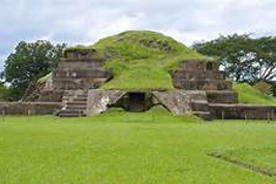 Founded between 1200 and 400 BC the towns of San Anders, Tazumal, Casa Blanca & Joya de Ceren early history remains buried beneath several meters of volcanic ash produced by the 260 AD eruption of Ilopango. For those going to the ruins, we’ll have lunch in a local town nearby before heading back to our hotel. Enjoy your last evening with your new buddies, you may wish to go out in El Tunco or relax over a final dinner at Café Sunzal. Most flights depart at 8am or 3pm out of San Salvador. We will coordinate two shuttles to the airport. If you choose, you could get up early for a few more sets at Sunzal or La Bocana, accessible from Casa de Mar. Or, you could spend the morning relaxing in the sun before heading back to the real world. 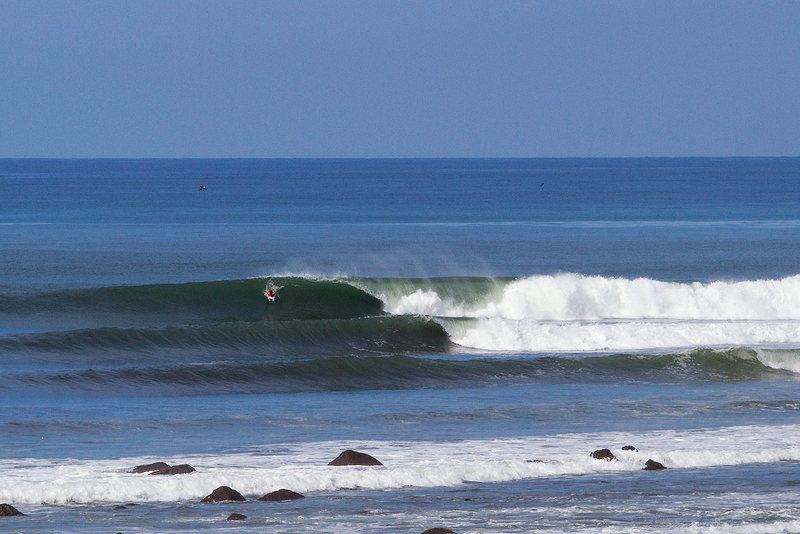 Directly outside your stunning villa is one of the most consistent waves in the world. 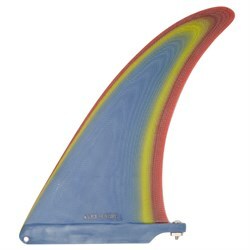 Sunzal Point picks up every south & southwest swell to produce one seriously long right and a few quick lefts. The hotel has direct beach access and the surf has everything else; something for long boards, short boarders, beginners & professionals. The large open-air restaurant makes the most of the El Sal’s tropical weather, while the bar provides beautiful views of the beach and surf in addition to being close enough to the pool area for convenient poolside service. Drive a short distance east or west of the hotel and you will find a multitude of waves including the famous Punta Roca, El Zonte & K59. 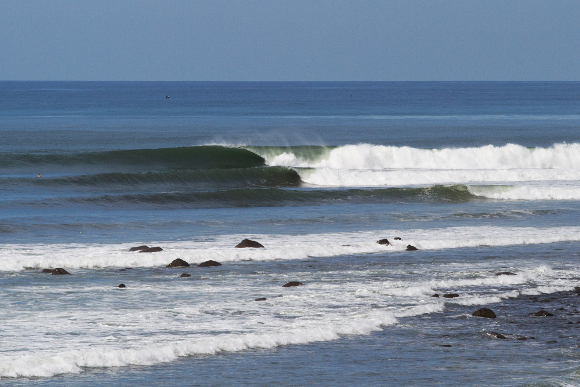 El Salvador truly is a surfing paradise. 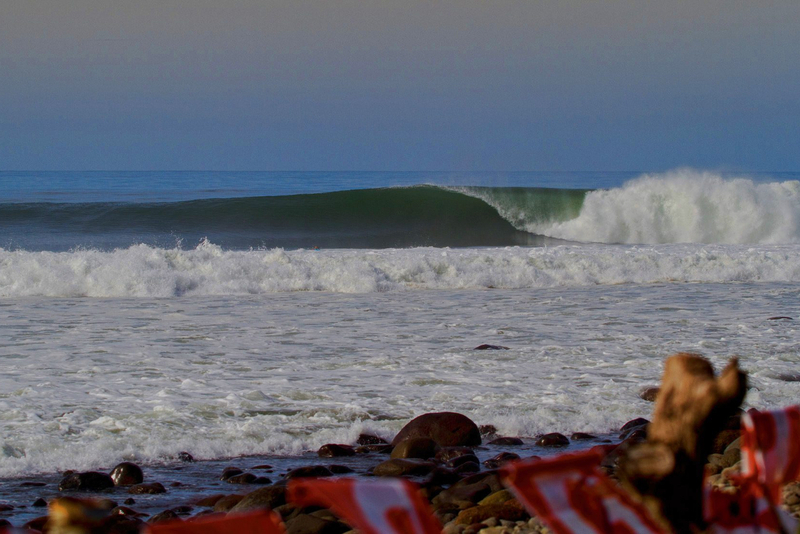 Punta Roca - a surf mecca. Photo by Billy Watts. October is the end of the rainy season in El Salvador and you can expect big surf 6-12 ft originating from the South Pacific’s swells. Expect temperatures around 80 degrees with some mid-afternoon storms. We recommend packing light - bring your warm layers with you on the plane and just about everything else you need should fit in a backpack and your surfboard bag. Whatever you ride, there are waves available, but be sure to bring some booties to protect against rocks. .
You don’t need to be an advanced or expert surfer to have a good time on this trip. However, if you are an expert you won’t be disappointed because there are breaks for everyone. 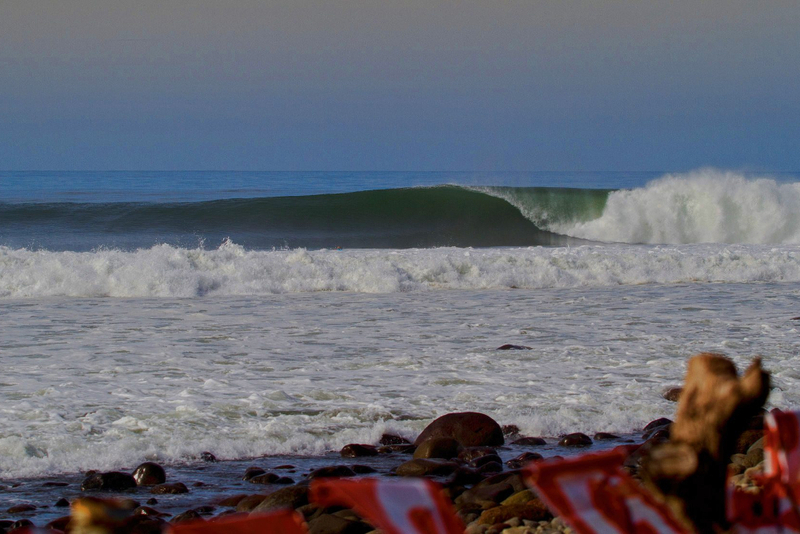 Each day we will select our surf location based on the reports and group needs. You'll have the option to stick with the group or do your own thing. 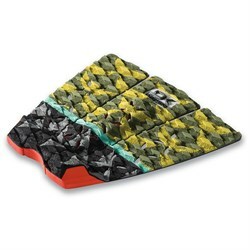 If you are interested in lessons, we can help arrange this for an additional fee. 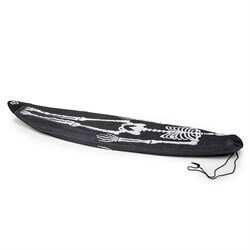 There are several local surf shops in El Tunco, the small town neighboring our hotel and there will be rental and purchase options (we've heard stories of great deals from folks who have brought boards home) for all your surf needs. 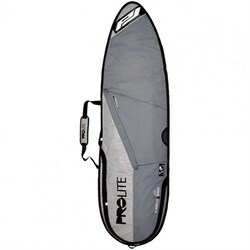 If you are bringing your own equipment, learn more about packing and any airline fees from our friends at Surfline: http://www.surfline.com/travel/boardbag_charges.cfm?id=15425. Can I (or my partner) come even I (they) don't surf? Yes. 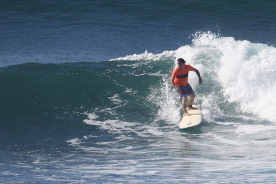 The primary activity on these trips is surfing; however, there may be options if you or your loved one does not currently participate. There lessons and rentals at an additional cost (we can help book this). There are also beautiful beaches, yoga, stand-up paddle boarding and many other options that we can help arrange.For guests not planning to surf on this trip, we will offer a $100 discount on the trip price. Yes. 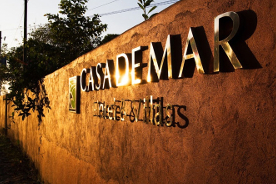 Casa de Mar can provide laundry services for a small fee. Yes, and no… It will be easy to avoid both gluten and meat. The area has great access to fresh seafood and local ingredients. Unfortunately there are no kosher or halal restuarants in El Sunzal. We recommend that you bring snacks along if you have any dietary restrictions. You are responsible for booking your own travel and you must arrive at the El Salvador International Airport by 8:00 am on the first day of your trip. We will be waiting with an evo sign in the terminal just outside of customs. Are there any safety concerns in El Salvador? We believe El Salvador has suffered from bad press. While there is gang violence in the city, the majority of the country is safe. We should travel smart: petty theft is a concern, leave your valuables at home. Keep your wits about you, but in our group, we don't anticipate any issues. Are there any vaccinations that I should look into? Should we be concerned about Zika? Zika is a risk in El Salvador. Because Zika infection in a pregnant woman can cause serious birth defects, women who are pregnant should not travel to El Salvador. All travelers should strictly follow steps to prevent mosquito bites and sexual exposure to Zika virus during and after the trip. For more information, please visit https://wwwnc.cdc.gov/travel/notices/alert/zika-virus-el-salvador.